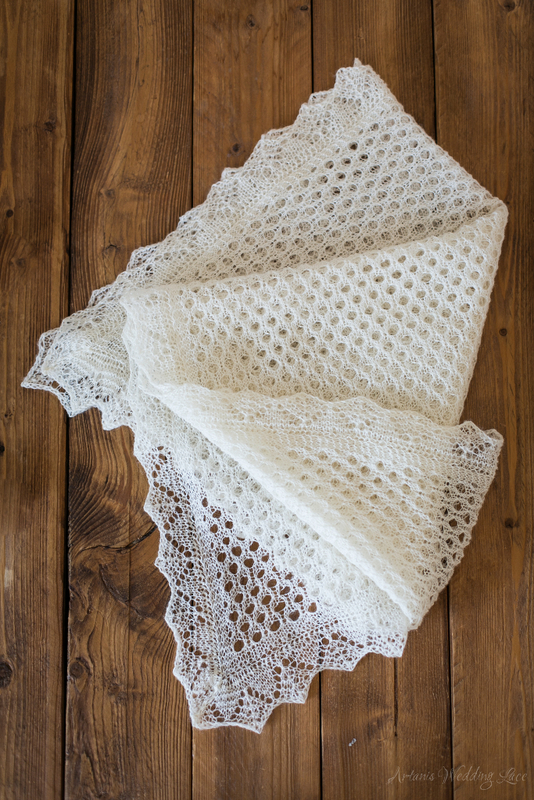 A few months back I told you about a woman who wanted to buy a ring bearer pillow from me and ended up ordering a beautiful Lace Bridal Shawl for herself. 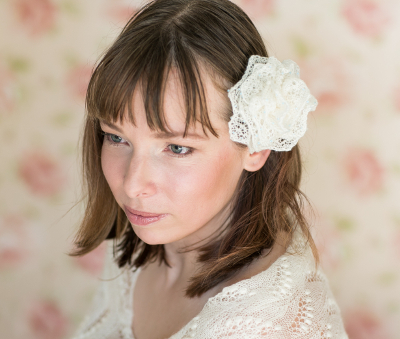 Now I would never have thought that I would get repeat customers in the wedding business but I did. 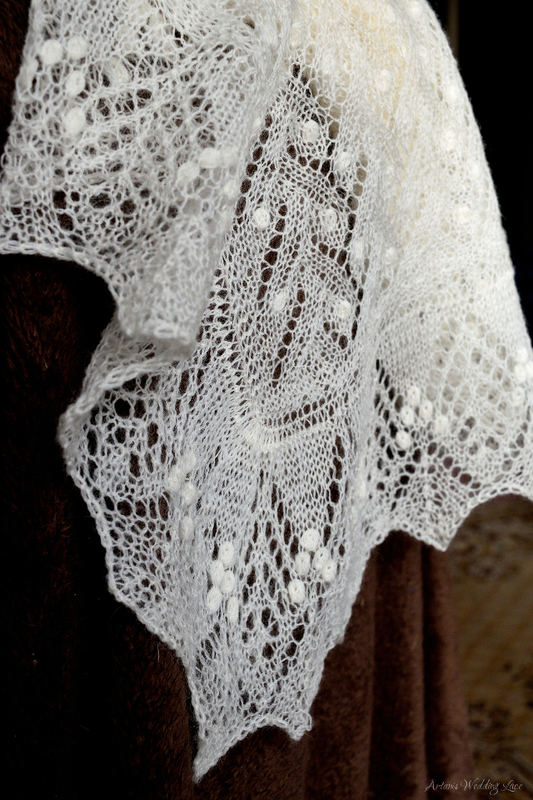 She has ordered multiple things from me and today I want to show you the same kind of Lace Bridal Shawl that she ordered for herself but with beads. And when I thought that the first one was absolutely gorgeous then this one even surpasses it. 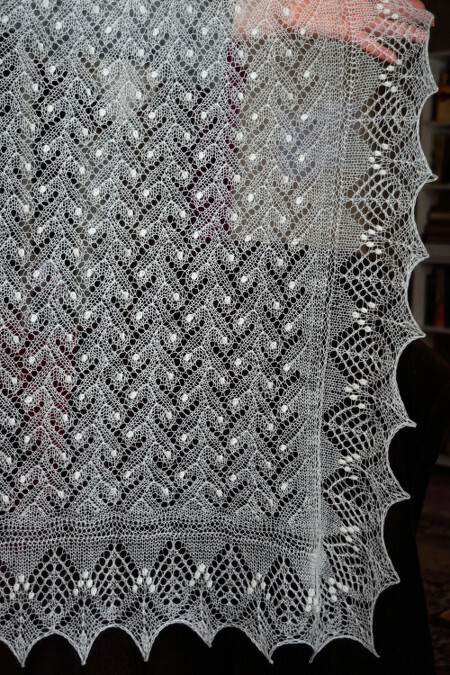 It is everything that the other shawl is – warm, elegant, beautiful, and the clear beads with silvery insides add also a delicate sparkle to it. 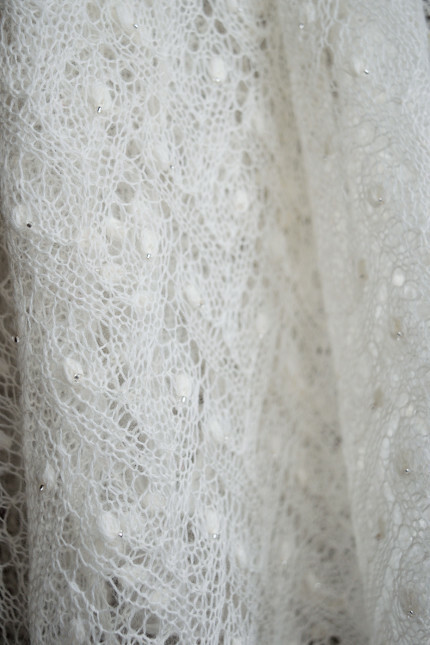 I can say with all my confidence that it is one of the most beautiful wedding shawls I have knitted. 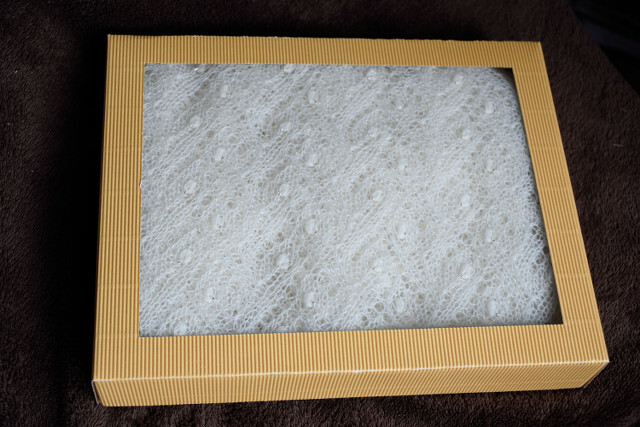 This beaded lace bridal shawl is packaged and ready to go to my first repeat customer. 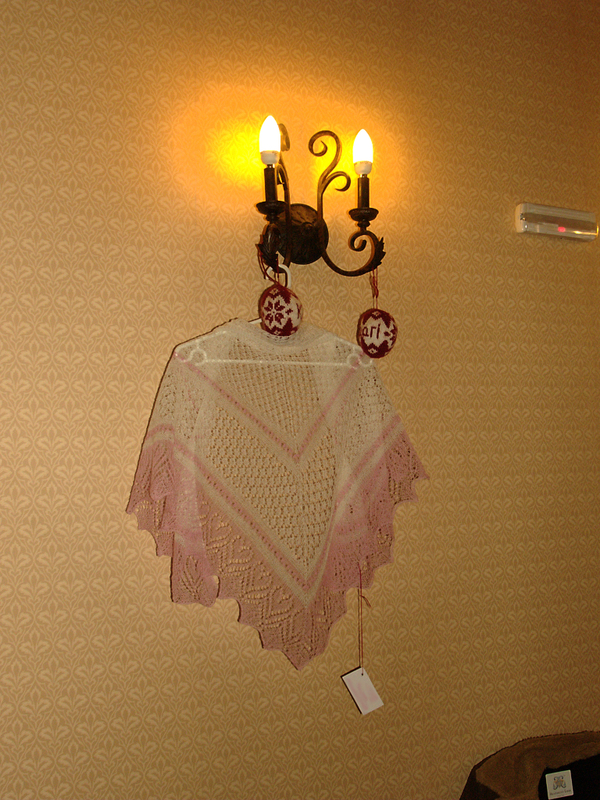 I was showing my shawls to my aunt one day, she lives far (in Estonian standards) and therefore I had many shawls to show her. I lay them all over the room, as I showed them to her for better viewing. When she left and I started to collect the shawls I discovered to my horror that one of the lace shawls had a hole in it. It probably got caught on something when we were looking at it, we were careful but these things do happen. 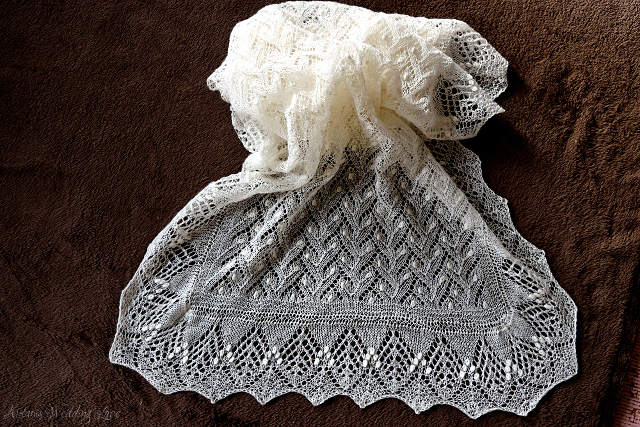 At first I was very upset about it but after some time passed I thought that this is the perfect opportunity to try to repair a lace shawl. 1. Find all the loose stitches and fix them so that they don’t unravel further. You can use safety pins or needles. 2. Look at the strands of yarn that are unraveled and see if any of them are broken. If some of them are then hide the broken ends into nearby knitting (make sure that they don’t unravel). 3. Add as many new strands of yarn on the knitting as you need to replace the broken ones. Make sure they are long enough so that you can hide the ends afterwards. 4. 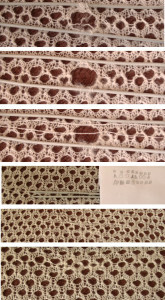 Identify the place where the hole is on the pattern and knit it again using the crochet hook to help if necessary. If you have a large hole and lots of strands then be very careful about using the strands in correct order. 5. Take one more strand of yarn and using it Craft the stitches together (also known as as Kitchener stitch). 6. Hide all the ends. 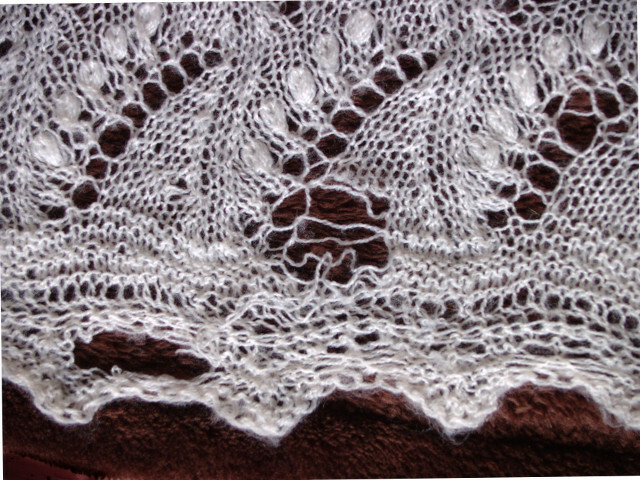 Edit – try to spread them out over the knitting so that the repaired place is less visible. When I had written this action plan down, I got to work. I caught the stitches, there were six all, I found that there were two strands of yarn broken, substituted them and knitted the place again using the pattern. Then I reattached the two pieces and hid the ends. I was not very satisfied with the result of the hiding and so edited my plan for future reference. 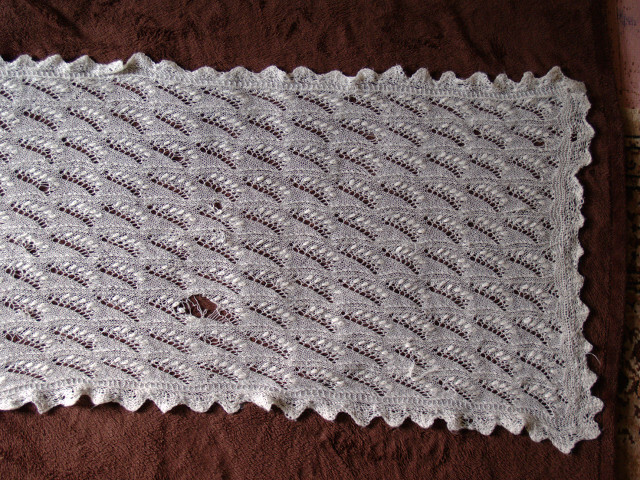 And finally I blocked the shawl and I was pretty happy about my first repair. 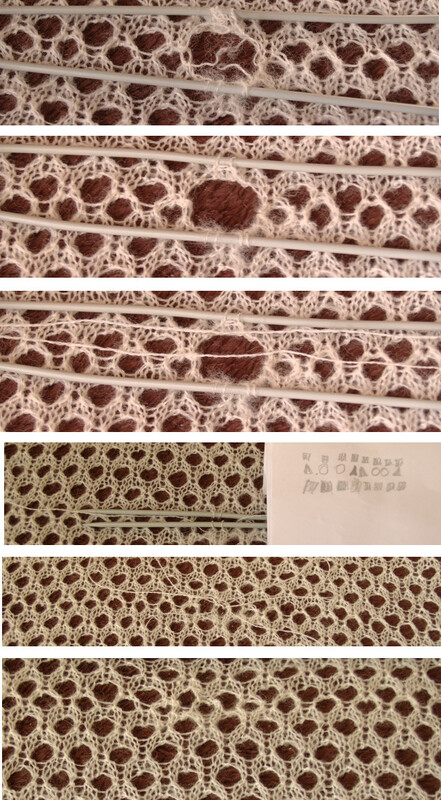 Soon I was given a bigger challenge in shawl repairing, scroll past the picture showing various steps in my first lace shawl repair to see it. 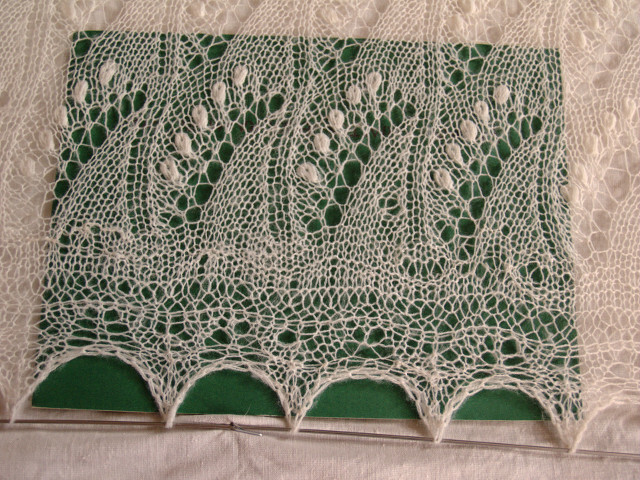 One day a friend of mine who knew I’m knitting shawls told me about a very special shawl she has. 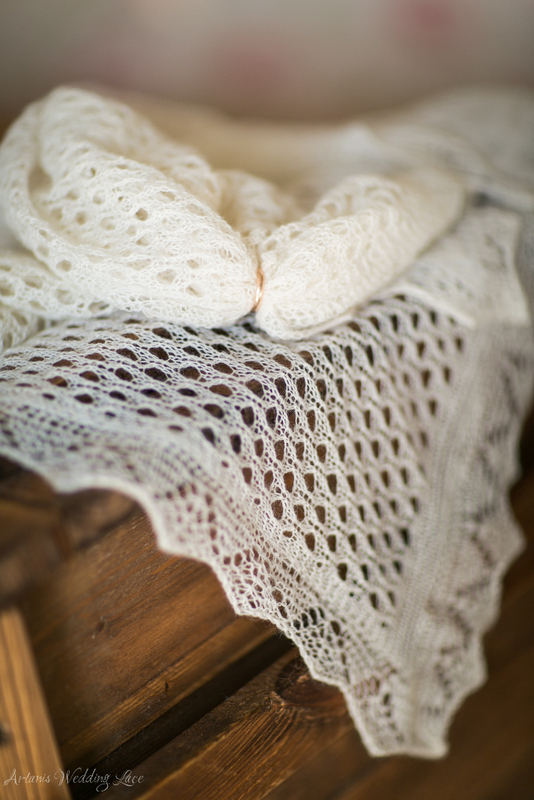 It was knitted by someone very dear to her and she had had it for over twenty years. 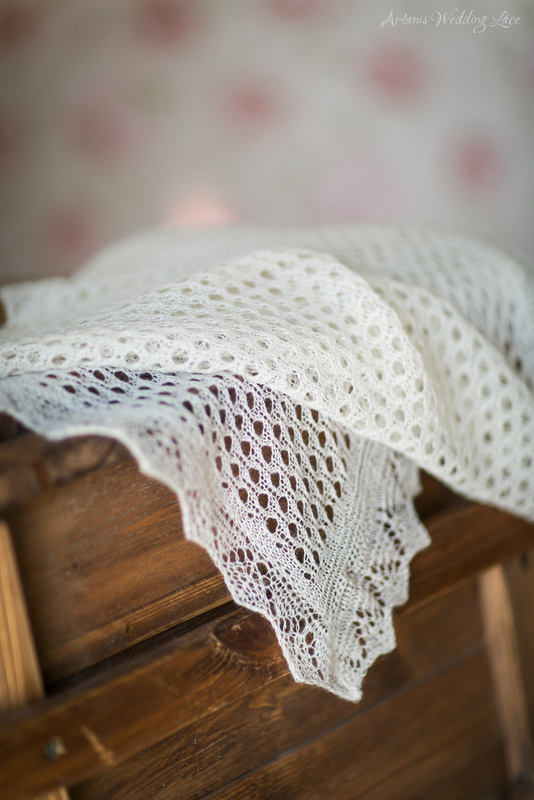 She had used it as a regular shawl in winter (for around 5-6 months per year) and she was sad that she couldn’t any more because it was so damaged. She asked if I would mind looking at it and I said yes. 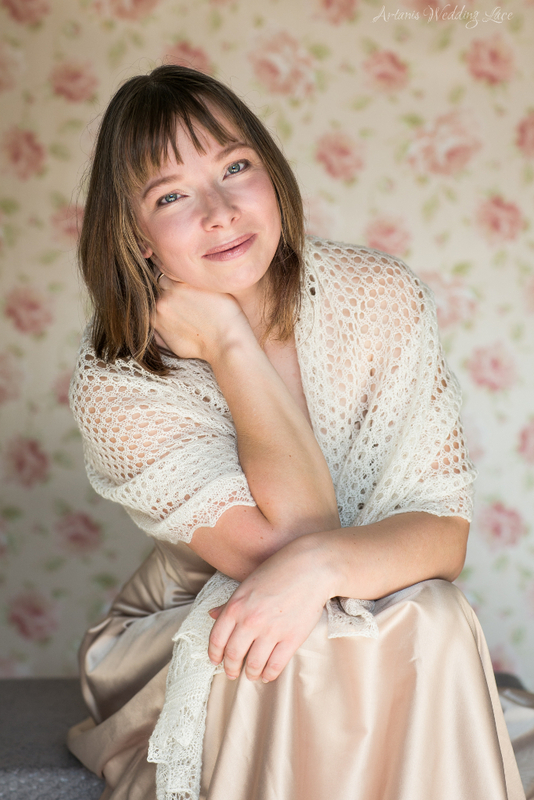 When I first saw the shawl I almost regretted saying yes, but then I calmed down and decided to do it one hole at a time. 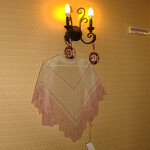 This is the shawl, it had over ten holes in it. What saved it from totally unraveling was the fact that the shawl had been washed like a regular shawl and had therefore felted a bit. This is probably what made it even possible to save the shawl and I got to work a more freely when I didn’t have to worry about it unraveling even more. 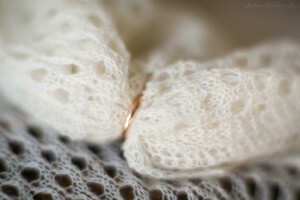 There were about 20 of these kinds of injuries where the strand of yarn had not been broken but it had been pulled out, compromising the surrounding lace pattern. 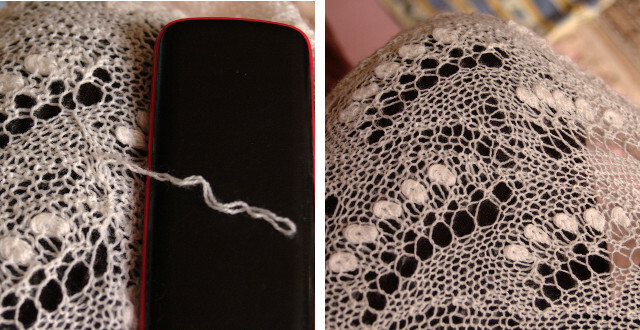 I used a big tapestry needle to ease the strand back into it’s place. I took the holes on one by one, just focusing on my seven easy steps and eating a lot of chocolate. 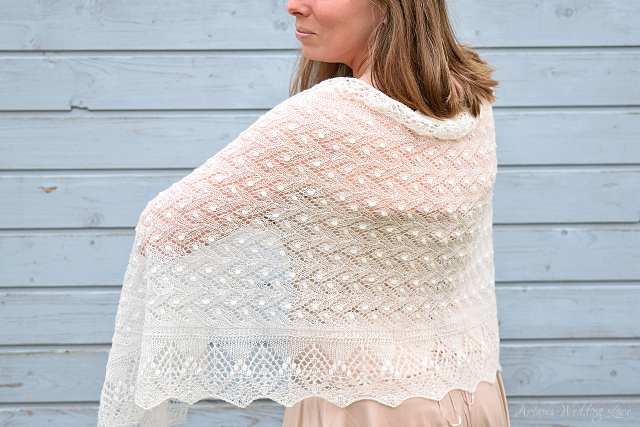 No more holes…I am glad that my friend loved the outcome and is able to wear this shawl that means so much to her. If you have bought a shawl/scarf/something else from me then know that you can always turn to me if something has happened to it and it needs repair. 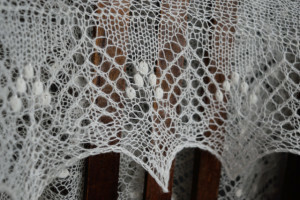 I will be repairing lace shawl problems that take up to an hour for free! 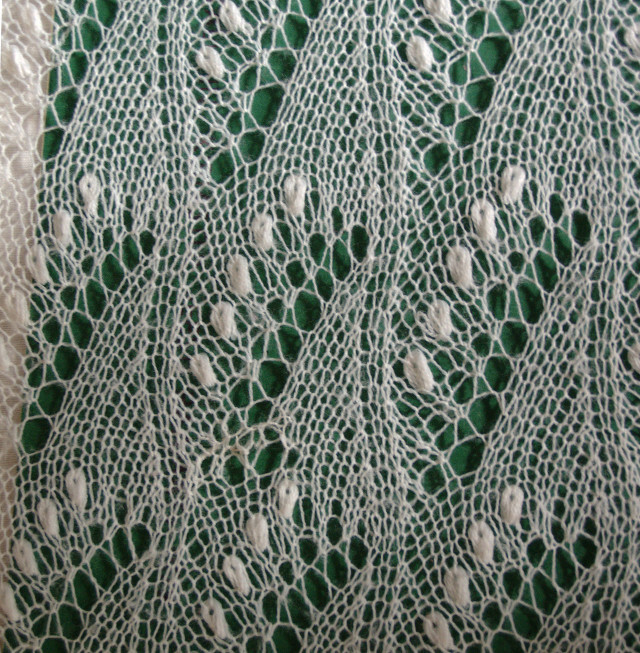 I discovered that I’m in danger of forgetting how many Lace scarves and shawls I have knitted. And, since this is something I do want to keep track of I decided to list them all here (with pictures and links where possible). 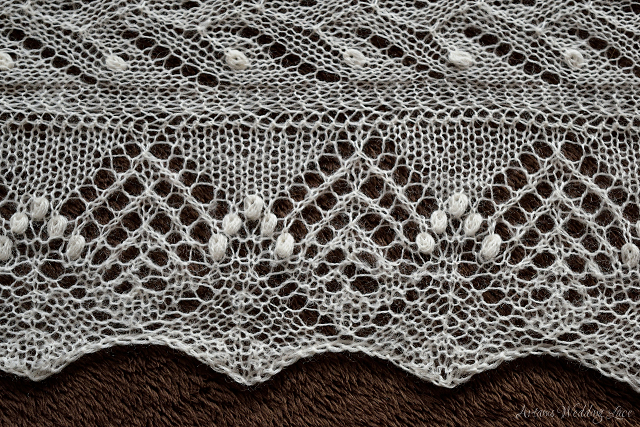 This is the first lace shawl pattern I knitted. 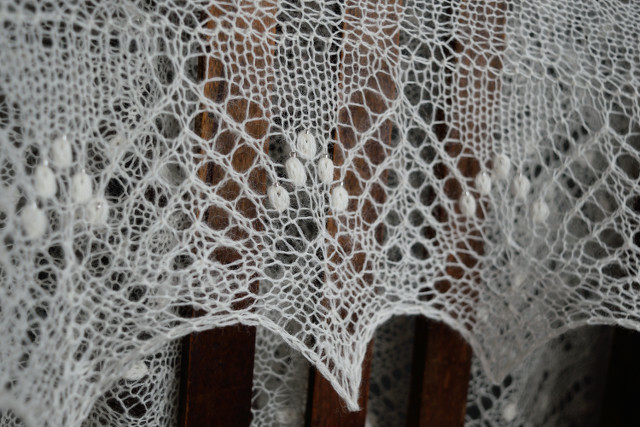 It does not use nupps because when I started it I was still so awed by nupps that I thought that they were too hard to knit (they are not, just needs some practice). 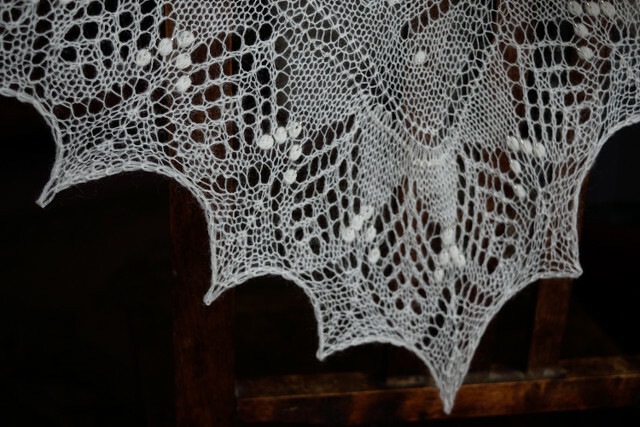 This pattern looked very simple and I thought that I would use it as a practice lace pattern and then move forward to more elegant and more sophisticated patterns. Boy was I wrong, yes it is pretty simple to knit but that does in no way make it less elegant. 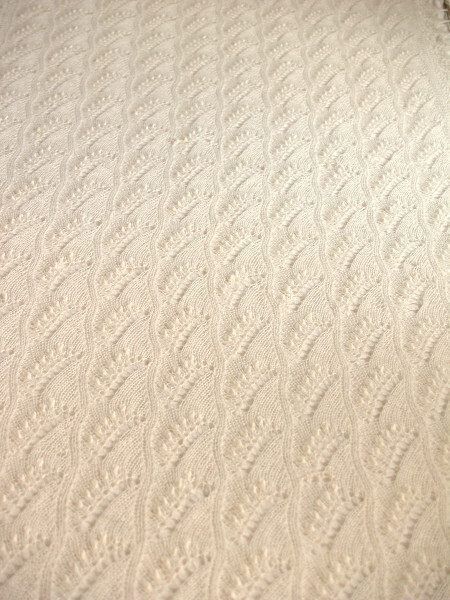 On the contrary I think that this is the most elegant pattern I have used so far and I will use this pattern again and again. 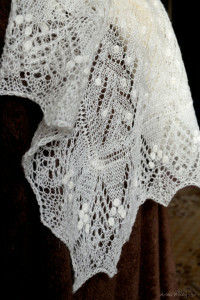 It is so elegant and delicate pattern that I think it could also be used to knit a wedding vail. 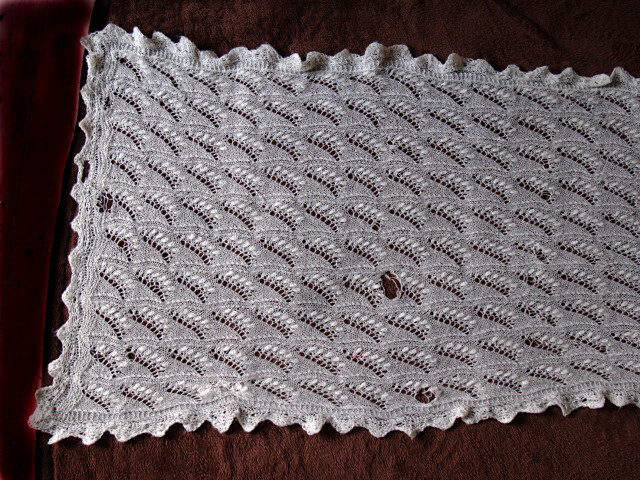 Needles: The center part is knitted with number 2,5 needles (US1) and I think that although I’m knitting ohter shawls with number 3 needles, this shawl looks better when knitted with smaller needles. 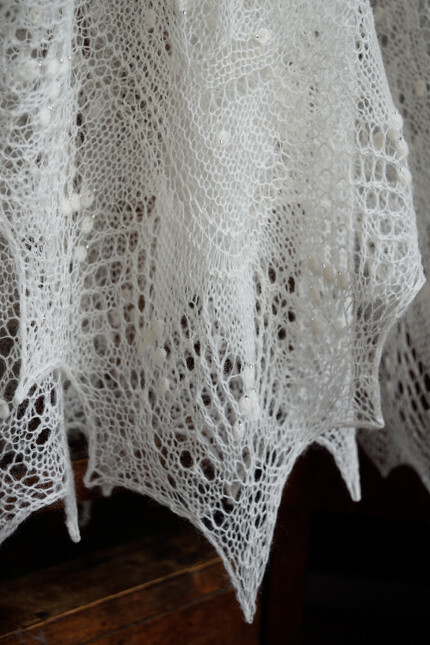 And, as all true Haapsalu Lace Shawls and Scarves, it can also pass through a woman’s wedding ring.